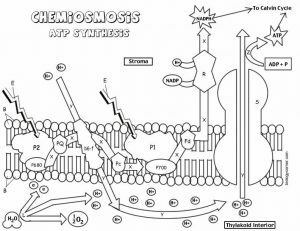 Use this coloring worksheet to explore how plant cells harvest energy form the sun to generate ATP in the process known as chemiosmosis. 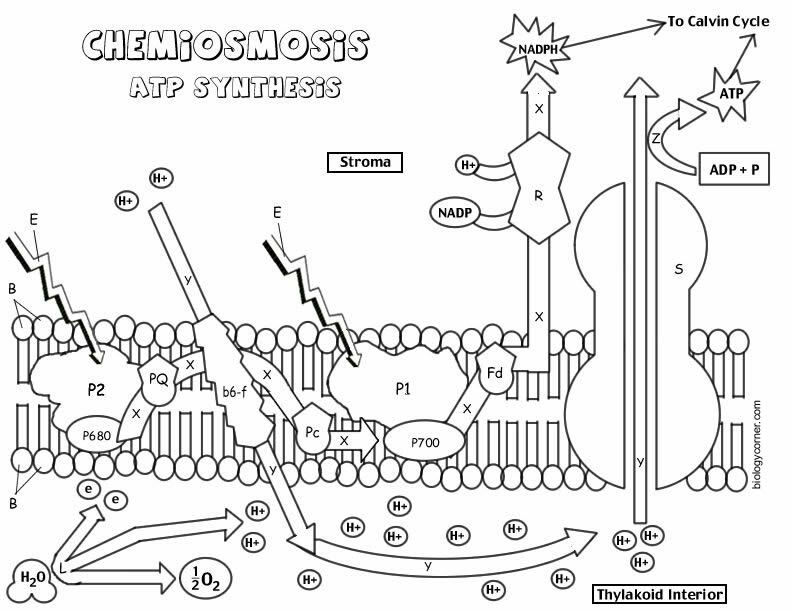 This diagram showcases the enzymes and steps of photosystem I and photosystem II and explores how these systems create a concentration gradient which powers the production of ATP through the ATP synthase compound. ATP and NADPH are then used in the Calvin Cycle to create glucose and other energy storing molecules for plants. Worksheet includes a description of the processes and requires students to answer specific questions about the light independent and light dependent reactions. Students must color the diagram according to the directions.